The Mexico City-born chef, Olivier de Calvez, and his team prepared an eight-course tasting menu for the launch, each item paired with an impressive cocktail. We started off with fresh tortillas and table-side guacamole with three salsas ranging from mild to hot and nueces picante: mixed roasted nuts rubbed with Mexican spices. The peanuts and walnuts were a big hit at the table, with many of us squirrelling them away in our bags to snack on later. Accompanying this course was the enormous traditional margarita. In all honesty, tequila and I are not amigos so I am not a great judge of a good margarita; however, those who like them reported back that it was excellent. The second course of the night had what I considered one of the best dishes we had that night: ceviche de atun. 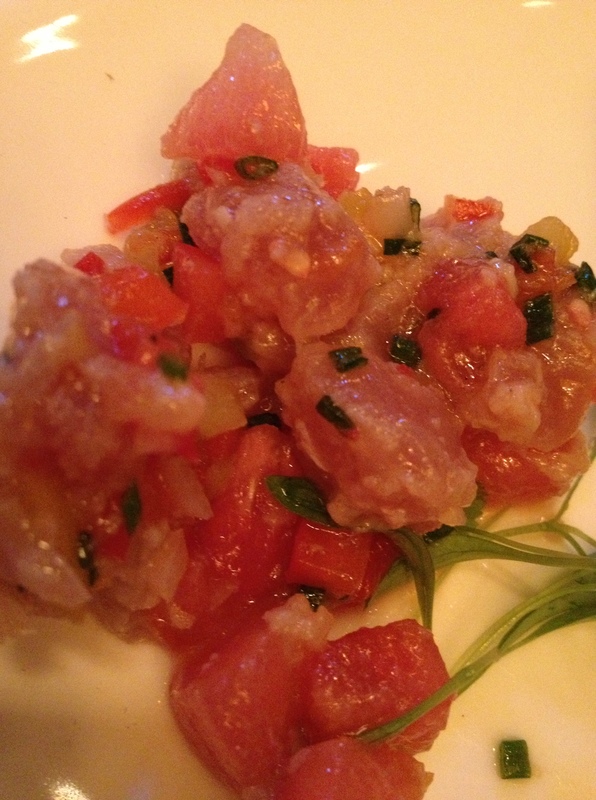 The beautiful ahi tuna ceviche was done up simply with lime juice, olive oil, watermelon and habanero. It was light, refreshing and I would have been thrilled to eat five or six more servings of it. 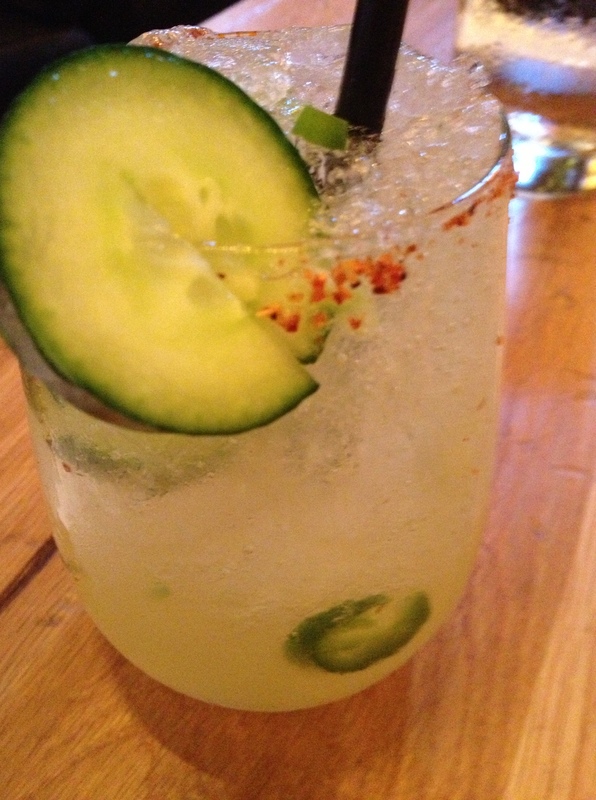 It was served with a pepino diablo, a tequila-based drink traditionally made with cucumber, jalapeno, pineapple juice and basil. The glass was rimmed with spiced salt and the tequila was not overpowering. Along with those five or six additional ceviche dishes, I could have had as many of this drink. Happily. Next up were the Mexican staple tacos al pastor: shredded pork marinated in pineapple and axiote topped with cilantro and chopped onion. 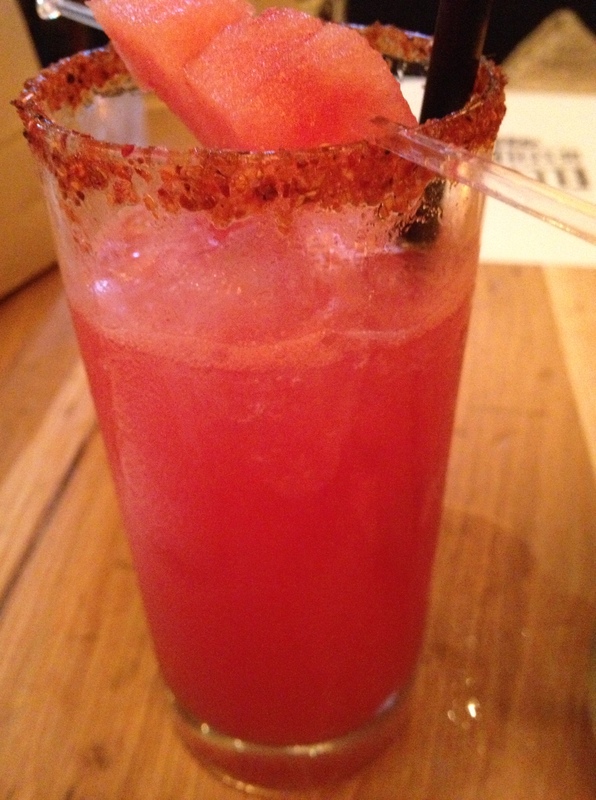 It paired nicely with the fuego sandia, a popular drink at our table made with watermelon, tequila and some heat. Nicely balanced, this was my second favourite drink of the evening. 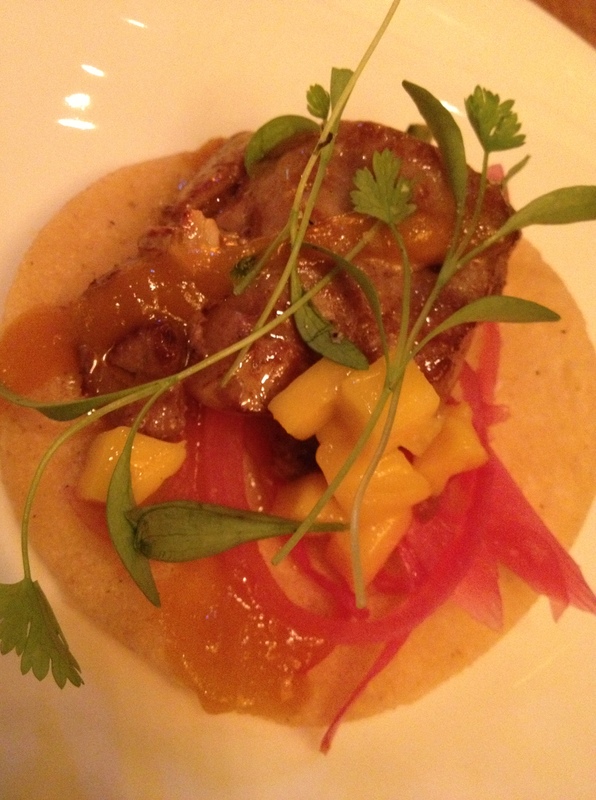 Brought out shortly after the pork tacos was my absolute hands-down winner of the evening: tostada de higado de pato. Seared foie gras placed on top of a freshly-made tostada and served with a mezcal mango syrup, poblano and pickled red onion. By turn sumptuous, crunchy, spicy and rich, this was a stand out of the night. I was not as big a fan of the accompanying drink, however, the hibisco rosa. Unfortunately, all I could taste was the rosewater which gave the drink a soapy taste. Some people quite liked it; I couldn’t do more than a couple of sips. 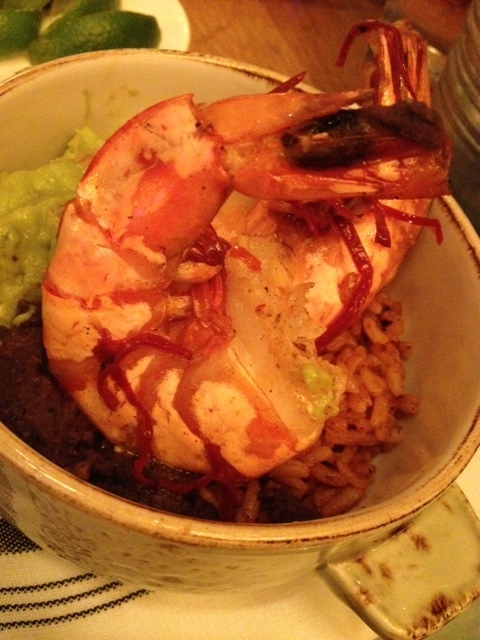 A lovely, light cactus salad followed and then camarones al ajillo, jumbo shrimp sautéed with guajillo pepper, garlic, lime juice, white wine served over red rice, black bean purée and guacamole. The shrimp was plump and beautifully cooked but the guacamole needed more salt and a little more lime juice. 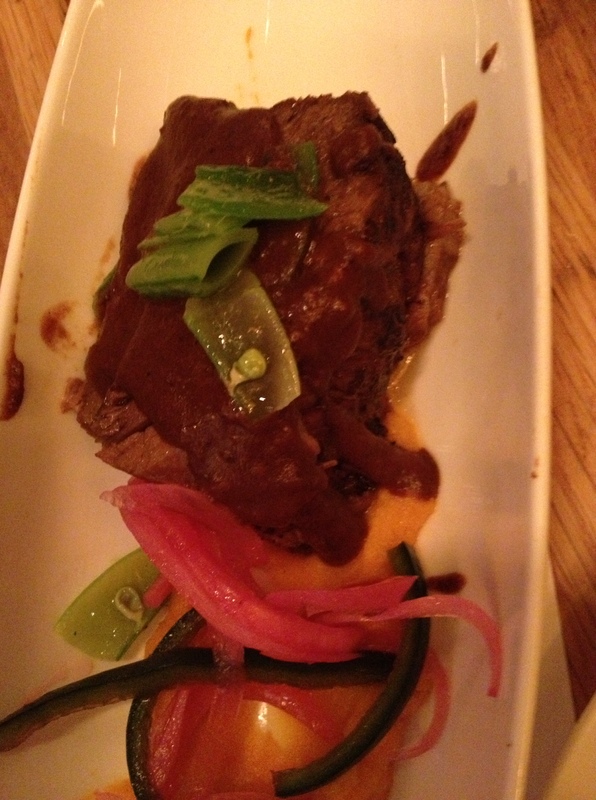 Our final main was a gorgeous braised short rib with black mole sauce, sweet potato purée and sugar snap peas. The meat was incredibly tender and the mole was lovely and complex with the warm, rich flavours you should expect of the complex, multi-ingredient sauce. Topping off the indulgent evening were two desserts: the classic churros and a barra de chocolat, which is best described as a Mexican Nanaimo bar. It was spiced and smoked with hazelnuts and chocolate and I was in love after one bite. The heat sneaks up on you after a couple of bites which is fine by me. If you’re not a fan of spicy food, you might want to stick with the churros and their chocolate, cajeta and strawberry sauces. 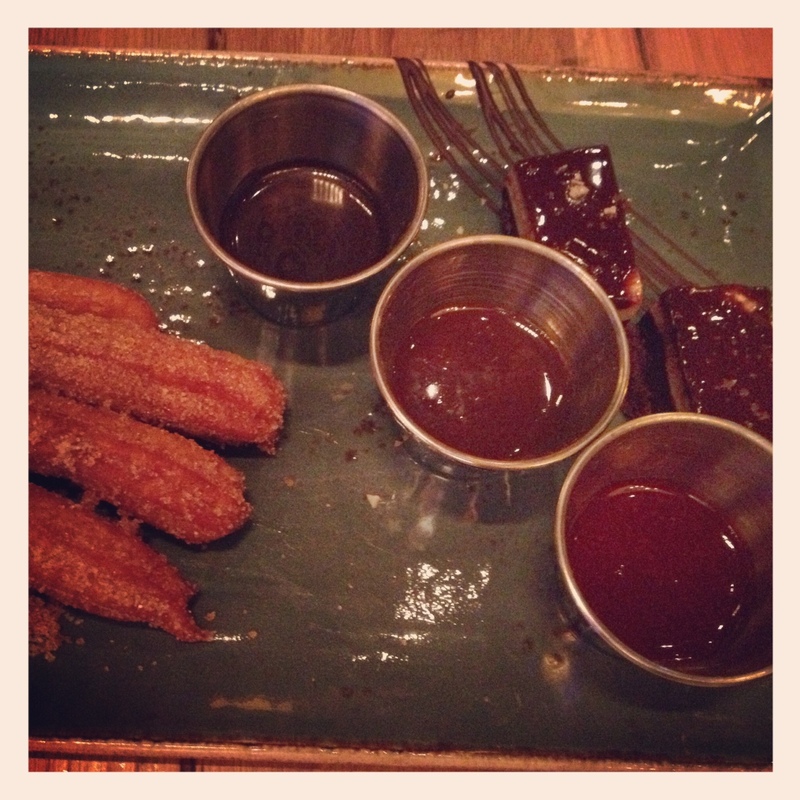 Churros and Mexican chocolate bars. No doubt, El Catrin will do well in its spot in the Distillery. There is a fabulous, sprawling patio with separate bars and a fire pit for chilly fall evenings. There is a separate room for private parties and the bar itself is quite lovely. There was a great buzz in the air at the launch, and not just due to the copious tequila- and rum-based beverages. Should you go – and you should – do not miss the ceviche, the short rib or the foie gras tostada. 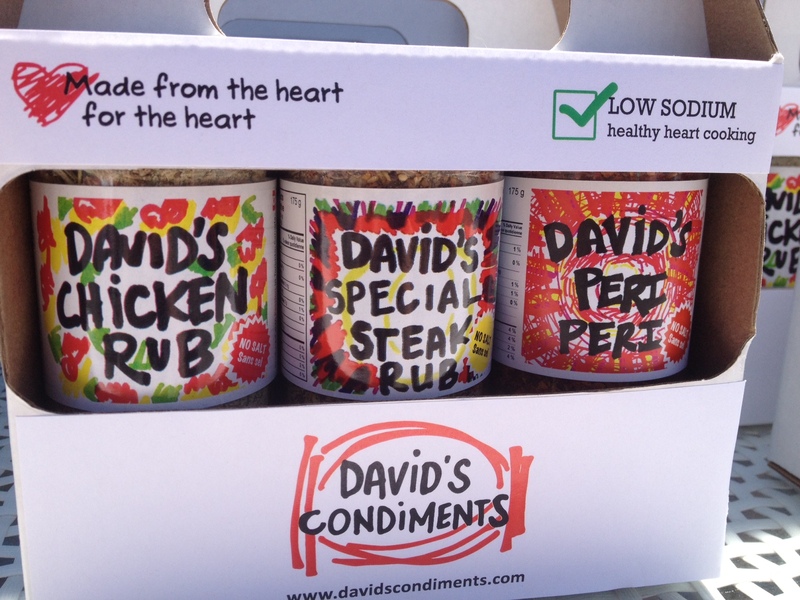 Heart-Healthy Condiments BBQ & Giveaway! 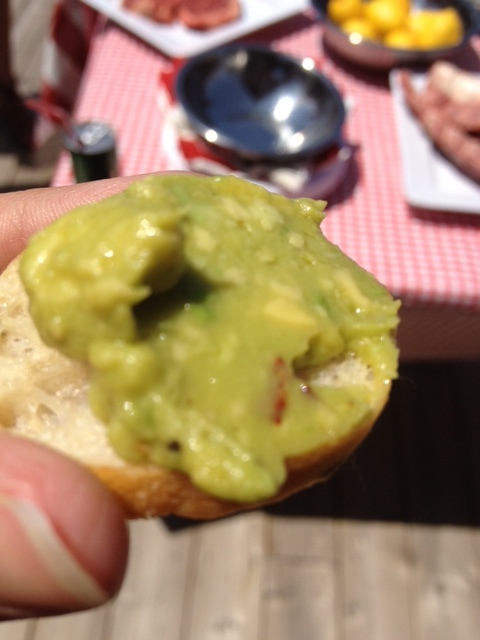 Our first dish of the day was guacamole using the spicy rub, proving that David’s line doesn’t have to be utilized only on meat. The guacamole had a nice little kick to it! Next up: prosciutto-wrapped asparagus using the special steak rub, kind of reminiscent of Montreal steak seasoning. It has a nice, lemony hit and paired well with the earthy asparagus and salty prosciutto. 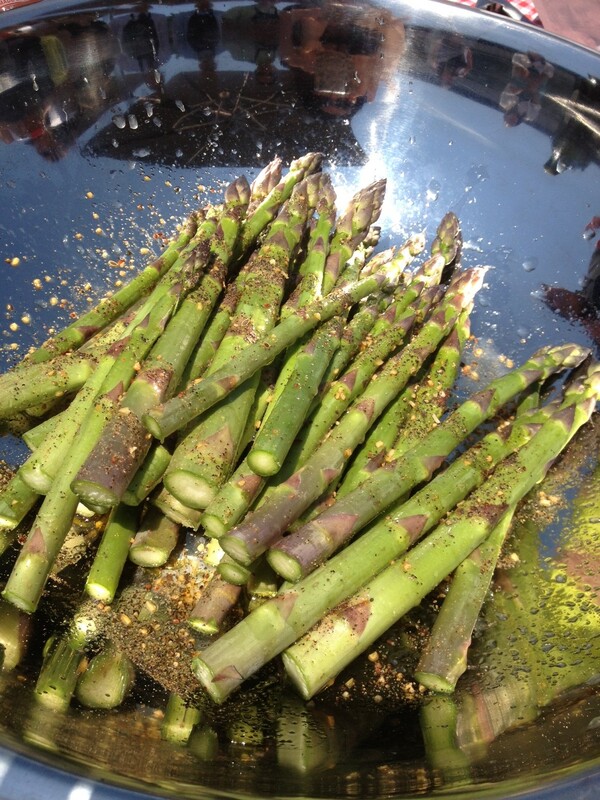 The asparagus before it hit the grill, covered in steak rub. 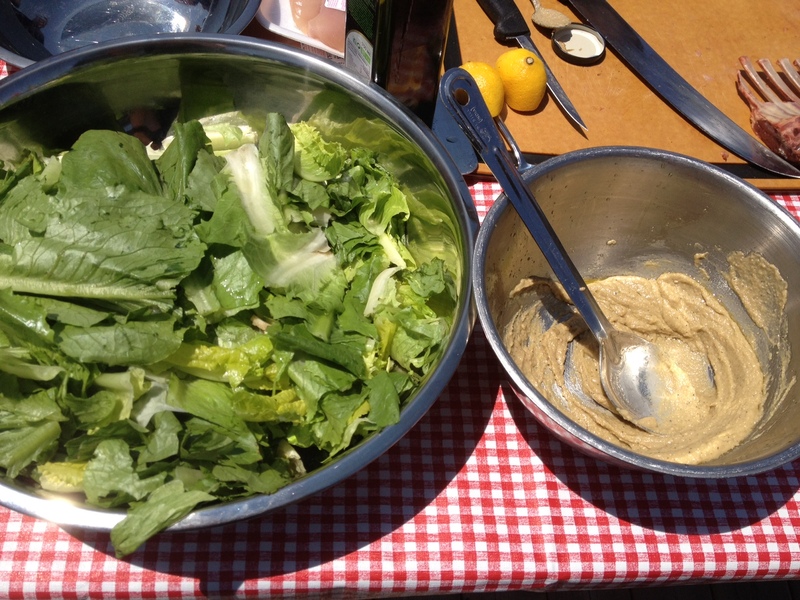 Along the vegetarian line, David has created a Caesar salad dressing that is gluten- and dairy-free (no anchovies, no eggs, no milk). He also has an anchovy-free version for those looking for a vegan option. It does have lots of garlic, though, and features his own brand of first-pressed extra virgin olive oil (also available for sale). Then it was all-meat-all-the-time…time. We were treated to French-cut lamb chops with David’s steak rub; baby back ribs with the steak rub and Fierce Marinade; New York steak with steak rub; chicken breast with the herbacious chicken rub; and spicy peri-peri-marinated shrimp. 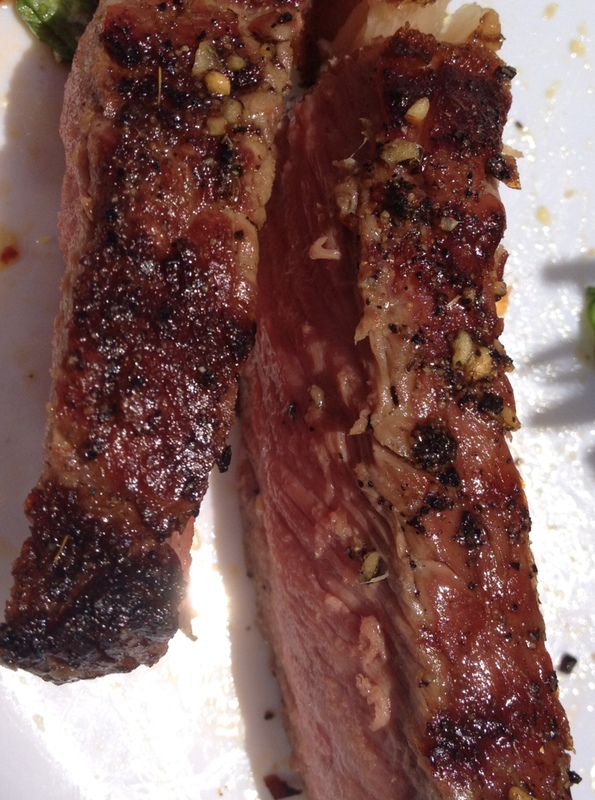 I really enjoyed the heat of the peri-peri sauce and thought the steak rub complimented the lamb and steak beautifully. David is definitely on to something with these healthier products. Most of us are looking to incorporate healthier food where we can and this could be a great way to cut back on some salt in your diet. 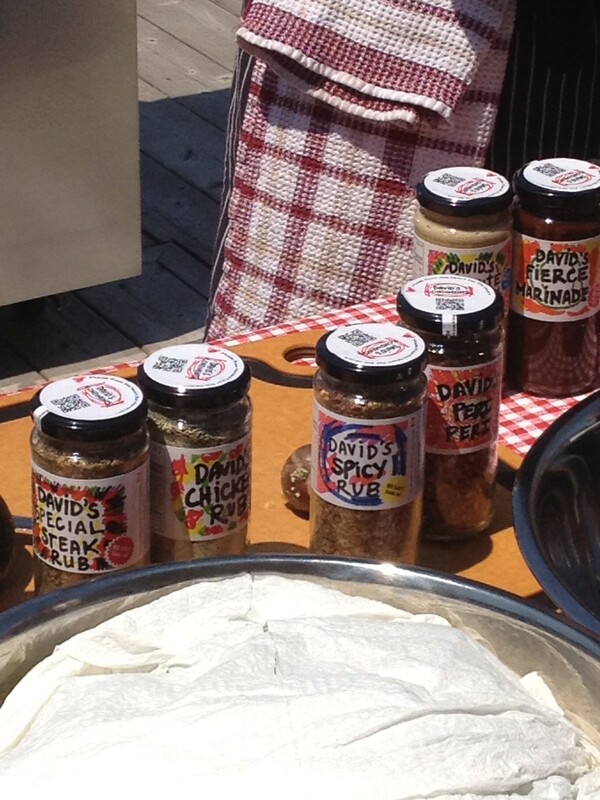 You can find David’s Condiments at Longo’s, Pusateri’s, Sanagan’s, McEwan’s and other fabulous food establishments! Winners will be chosen at random on Wednesday, June 26th! For the last few months, I have been working with the wonderful not-for-profit company, Meal Exchange. They are passionate about getting youth involved in the local food movement, working to alleviate hunger across Canada, but always with a local focus. I happen to believe strongly in their cause and, back in December 2011, I looked to get involved with them. Lo and behold, I came across National BBQ Day: an annual, Canada-wide event that encourages people to visit their local farmer’s markets, purchase some great food (steak, burgers, chicken, veggies, fruit…), throw it on the grill and then send in their photos for the chance to win some great prizes! I’m a big proponent of visiting a market instead of a grocery store whenever possible and I don’t know anyone who doesn’t love BBQ. Put these two together (with, again, a chance to win some great stuff) and you have a winning combination! 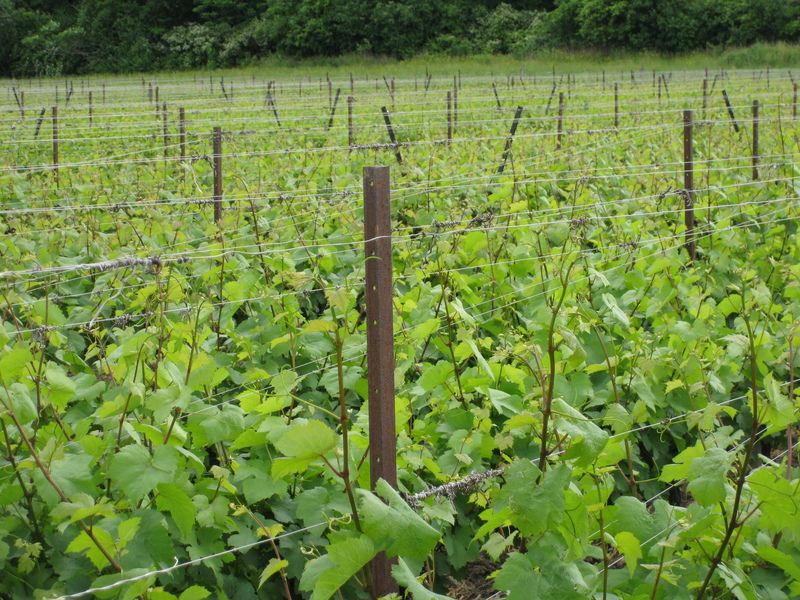 Meal Exchange has been very fortunate to partner with the incredible Chateau des Charmes, a stunning vineyard in Niagara-on-the-Lake. (Proceeds from the sale of each bottle of Generation Seven wine go toward Meal Exchange.) This beautiful spot was the location of this year’s media launch on Sunday, June 3rd. BBQ-themed food stations were set up for patrons to enjoy with a wide variety of goods to sample. 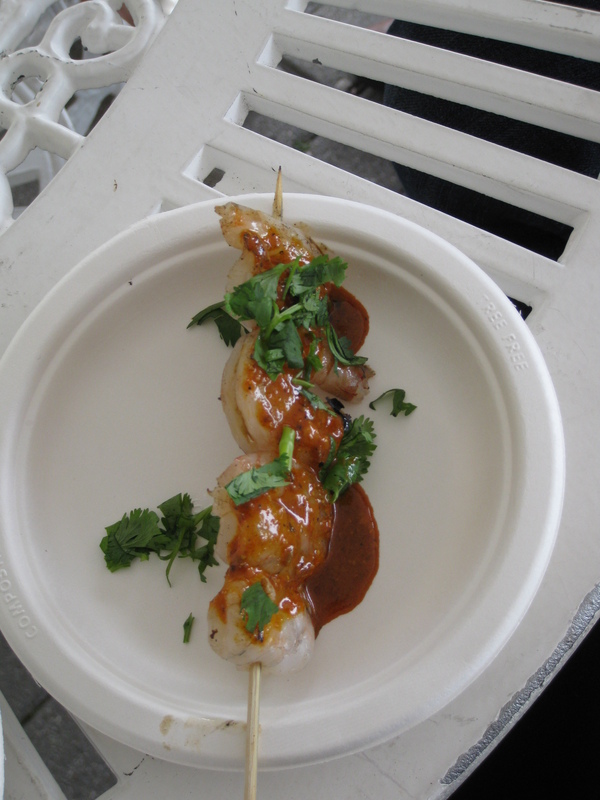 Matt Kantor, chef behind the Secret Pickle Supper Club, presented three options: grilled Moroccan shrimp with chermoula & cilantro; lamb kofta with yogurt; and grilled dates stuffed with chorizo and served with a roasted pequillo sauce. I opted for the first and last and was not disappointed. 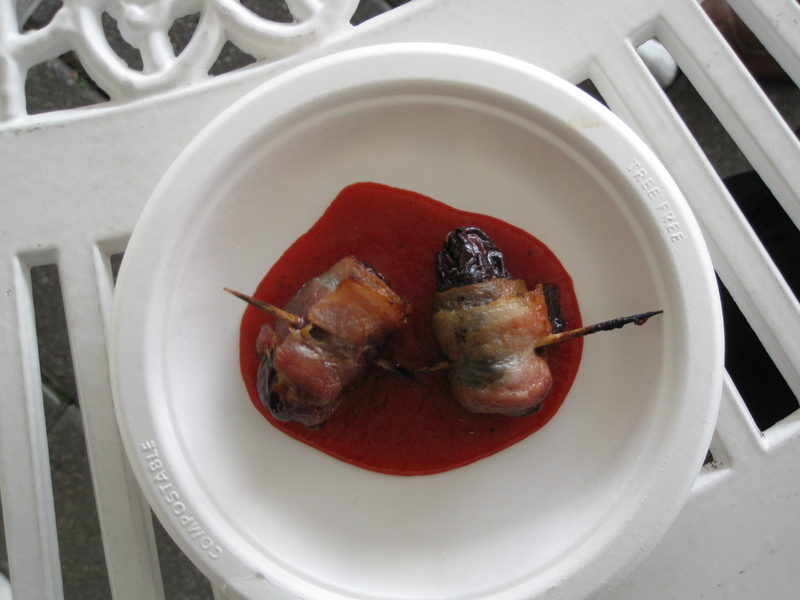 The bacon-wrapped dates were especially good and, after watching him demonstrate how to make them, I will most certainly be trying these at home. 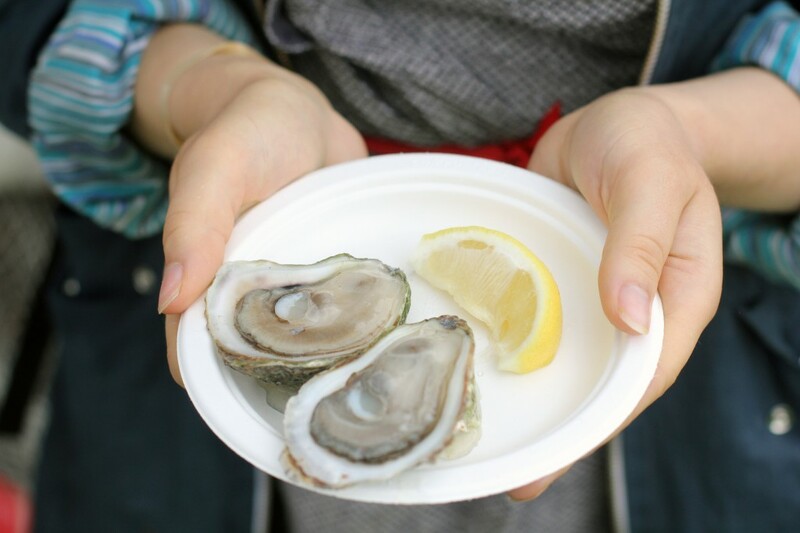 The Tide and Wine Oyster Company offered up a bevy over seafood treats, much to the delight of the people at the vineyard! 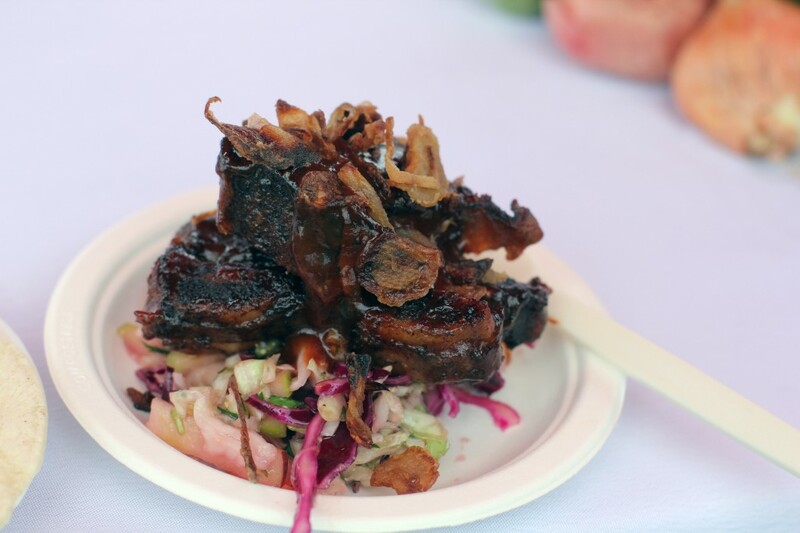 Over on the other side, the Napoleon Grill chef Therese de Grace whipped up heaping portions of sticky, rich short ribs and and tempeh tacos with tomatillos, vegan chipotle mayo, pico de gallo and shredded lettuce. All of those plates were quickly – and happily – devoured. 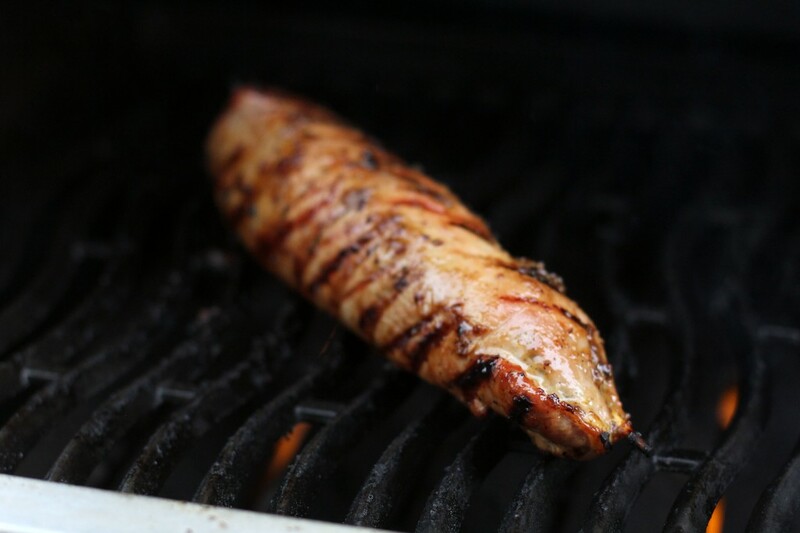 Tim Tufts, the “master home griller,” created a stuffed pork tenderloin glazed with local whiskey and maple syrup, served with marinated and grilled asparagus. It was quite entertaining to watch Tim and his daughter cook and interact with the people there, demonstrating how to butterfly, tenderize and stuff the pork tenderloin. The stuffing contained mushrooms, bell peppers, breadcrumbs and red wine that had been cooked down and placed in the middle of the tenderloin. Great food, great wine, great people all there for a great cause. Meal Exchange has been instrumental in helping so many across Canada and it was wonderful to see people out to support them. National BBQ Day is going to be a fantastic event – if you haven’t yet, sign up to host or attend a BBQ of your own here! 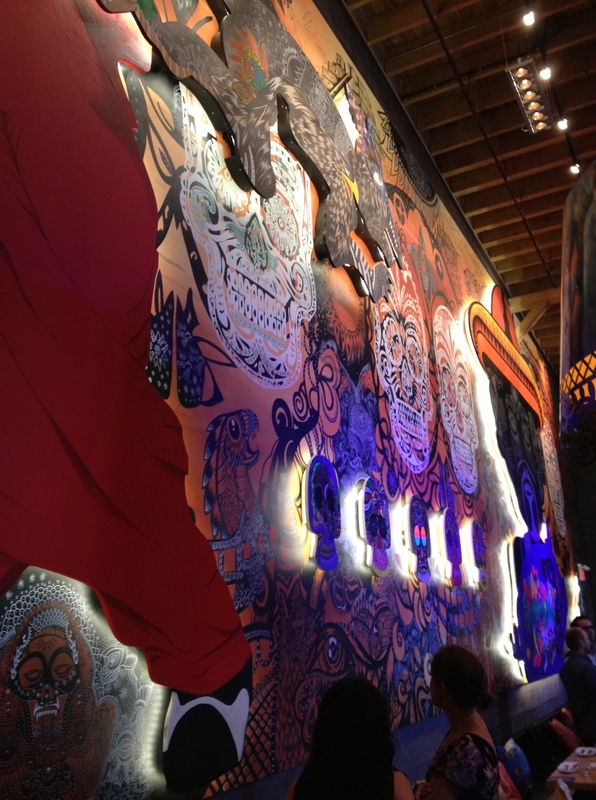 Death Row Meals Supper Club: Taco Madness! Two hours. Six creative, delicious tacos. Six alcohol pairings. One most excellent afternoon. Created by the fine folks at Living. Loving.Local, Death Row Meals Supper Club brings together great chefs in our fair city to produce their version of a particular dish. This month was hosted at Milagro Cantina, where the chefs crafted their own versions of a taco, showcasing their considerable talent and creativity. We settled in about 15 minutes before the event was to begin and there was already a great buzz in the room. Upon signing up for it, no one knew exactly what theyd be feasting on and the anticipation was palpable. We sat at long tables, chatting with those we’d come with and those we had just met while wonderful smells wafted forth from the kitchen. Everyone curiously perused the score sheet we were given that listed all the tacos we would be sampling, as well as spots to score the tacos on taste, originality and presentation. There was also a spot reserved for a bonus point should we feel the desire to award it. After a quick welcome from the host, out came the first round! Large plates of Rossy Earle’s gorgeous braised & pulled chipotle-smoked duck topped with chayote & tomato pickled slaw, culantro lime cream and duck skin chicharrons on top of green plantain tortilla tacos arrived in front of us. One bite in and the 60 or so people in attendance went quiet and a simultaneous, “mmmmmmmmmmmmmm” could be heard. What a fabulous way to start off this competition! Not only did this taco look great, the combination of flavours and textures hit all the right notes. Next up was Steve Gonzalez’ grilled adobo pork with tomatillo and corn relish, roasted garlic and lime crema on top of a refried bean tortilla. While the idea of the refried bean tortilla seemed fabulous – it was certainly something we’d never seen – it did make it a little tough to eat the taco itself. The tortilla didn’t hold together all that well and many of us found ourselves trying to trying to eat the tender pork medallions while holding everything together with our fingers. The pork did go nicely with the cold Corona, though. Third on the docket was one that most of us were really looking forward to from the description: braised beef cheek and smoked beef tongue taco with avocado crema, pickled red onion, cilantro, and duo of house smoked hot sauces. Yes, please! The cheek was melt-in-your-mouth good and the smokiness of the two hot sauces came through loud and clear. This was messy deliciousness, folks. Chef Tom Davis did a nice job on this one and it paired beautifully with the Trapiche wine served. Definitely one of our faves. 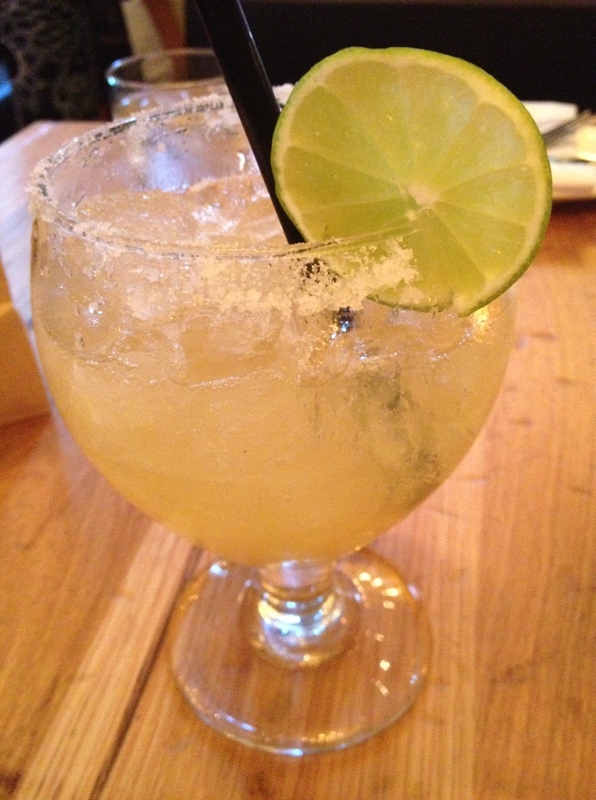 On to the fourth – and to the dreaded tequila! (Tequila and I used to be amigos. Now, we are civil at best.) Charlies Burgers put forth their offering of a carne asada taco using smoked and grilled marinated kobe knuckle, fresh flour tortillas, salsa taquera garnished with grilled scallions. This particular taco got mixed reviews at our table. 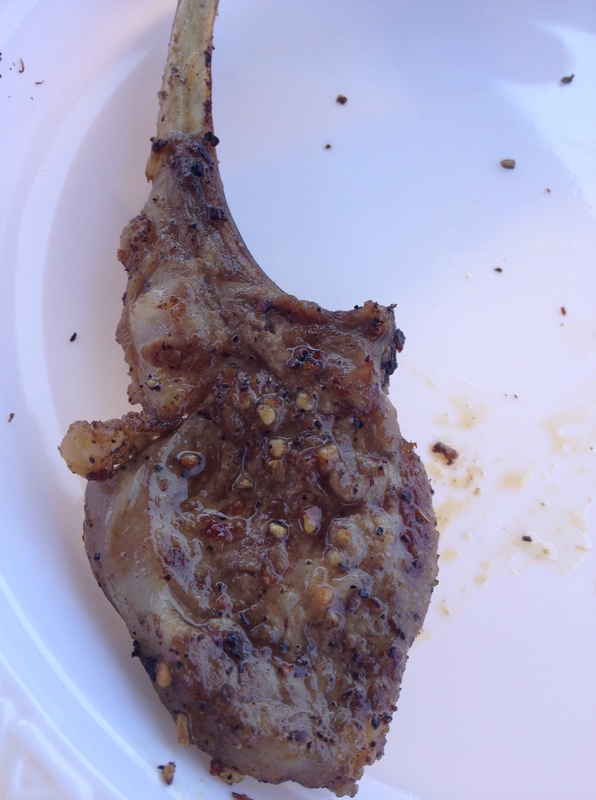 It seemed that some diners got a nice, tender piece of meat while others had pieces that were chewy and tough to bite through. That’s a real shame considering the calibre of chef and how much others were enjoying theirs. Chattering away with my table mates, I looked up to see that taco number five, created by Nick Liu, was arriving on those giant platters, along with some Steamwhistle. The platters were lowered on to the table and we all “oohed” and “aahhhed.” Ten perfectly round jicama “tortillas” with crispy octopus, smoked paprika caponata, chorizo bacon, spicy tomato aioli were gazed upon with nothing less than awe. We all dove – we were past politeness now – to grab one. The taco’s crunchy, crispy textures were an unexpected delight. The octopus was perfectly cooked and the hot sauce, while not tongue-searing, provided some nice spice. Pencils scribbled furiously when this one was finished up. Finally, Arturo Anhalt delivered a taco de longaniza (a spicy stret style chorizo) en salsa verder, with onion and nopales (cactus). This particular taco definitely had the most depth of flavour, almost like eating a rich chili. It reminded me a bit of a molé: lots of rich flavour with notes of heat, citrus and chocolate. I also quite enjoyed the tortilla which had a great char on it. This was probably the most technically accomplished taco of the afternoon and felt like the chef was quite comfortable making it: like he’d been eating it all his life. At the end of the day, most of us agreed that the octopus and duck tacos were our favourites. (In fact, during the post mortem with my dining companions, we decided the ultimate taco would be a combination…a “ducktopus” taco if you will.) Clearly the rest of the fine folks in attendance felt the same way as chef Liu and chef Earle’s offerings took the top two spots. Regardless of who won, it was such a fantastic way to spend an afternoon! Fabulous food, wonderful people, great vibe: no way to go wrong. 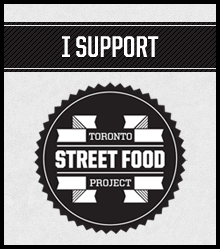 Keep your eyes peeled for the next installment featuring up-and-coming sous chefs from around the city! For some great photos, check out The Food Junkie Chronicles. When offered the chance to check out the VIP night before the big launch of this year’s Gourmet Food & Wine Expo, I leapt. I’ve been meaning to check out the show for years but schedule conflicts always kept me away. A ticket to the VIP night landed in my lap this year, so I made sure not to eat too much during the day and off I went. Wandering through the Food & Wine Expo at the Metro Convention Centre is a bit overwhelming, but also kind of exciting. Rows upon rows of vendors unfold in front of and around you while the faint clink of wine glasses can be heard over boisterous conversations. We were encouraged to grab a sampling glass, buy a set of sampling tickets and taste whatever our hearts desired. My new friend, Steven from Little Birdie Media, and I did as we were told, opting to sit in on the Wines of Chile demonstration at 6:30. Five small glasses were waiting for us, all with different Chilean wines ranging from chardonnay to malbec. While the sommelier leading the discussion may not have been overly enthusiastic, the audience appeared to be engaged and interested. Of all the wineries we tried, it was agreed that Barefoot Wine & Bubbly had not only excellent wine but a great pitch, too. I love a company that can not only produce a good product (seconds on the bubbly pinot grigio? Yes, please.) but that has a philanthropic business plan. Check out their link above and seek out their product. You won’t regret it. My second favourite alcoholic drink of the night has to go to the Affligem Trippel beer. Having tried the Blond before, the lovely gentlman pouring out samples talked me into the Trippel, a rich, amber-coloured beer that had bittersweet notes, this is surely something I will be seeking out again. I’m fairly certain you can find at it at beerbistro, but then…what beer CAN’T you get at beerbistro? I was very happy to see that the folks from Ontario Goat Cheese were there (I went a little insane over their triple cream goat cheese brie at the Delicious Food Show). I suggested that Steven try the brie I’d had last month and I went with the goat cheese coated in tart cranberries. Heav-en. And as if that weren’t rich enough, we next headed over to the Food Network Stage for a demonstration in chocolate making from the makers of Baci chocolates. Best freebie of the night, without question. Is it safe to say that the Gourmet Wine & Food Expo was a success? Well, I understand that they’ll be moving the larger hall next year so…yes. I have to admit that I enjoyed the Delicious Food Show a little more, but my expectations may have been unfairly high. Certainly not a bad time and the show does offer a wide selection that is sure to please. Where else can you get sturgeon caviar, Dead Elephant Ale and see Chuck Hughes cook in the same place?